WISMEC Luxotic is another masterpiece by Jaybo, which is a compact and light squonker kit with a Luxotic squonker MOD and a Tobhino BF RDA. The side cover in attractive colors and patterns is replaceable. It comes with premade clapton 0.18ohm coil for huge clouds and decent flavor. As the latest masterpiece from Jaybo, Wismec Luxotic is a new ultra-compact squonker kit, including a Luxotic squonker MOD and a Tobhino BF RDA. As a single 18650 mod, Wismec Luxotic is small, lightweight and easy to carry. It comes with specially designed squonk system for convenient ejuice refilling. The built-in squeeze bottle of 7.5ml capacity can provide a long time vaping. Moreover, the side cover in attractive colors and patterns is replaceable, so you can change your mod according to your preference. Tobhino BF RDA is a top-notch bottom feeding dripping atomizer with 22mm diameter. It comes with both 510 and 810 top cap for different vaping needs. The premade clapton 0.18ohm coil delivers huge clouds and decent flavor. With an open build space in Tobhino BF RDA, you can not only have an easy building, but also enjoy the DIY fun. Thank you so much! Device is hella good! Steam is cloudy, taste is glorious. Description is totally 100% legit. Will recommend to all my friends to buy Wismec products. Vapenation appreciate! My hubby has the mini so I was looking for the same but was very happy to find this nano. Smaller with No battery to buy and a great tank with lots of different options and settings to play with till you get it the way you want it. love this wee mod !! 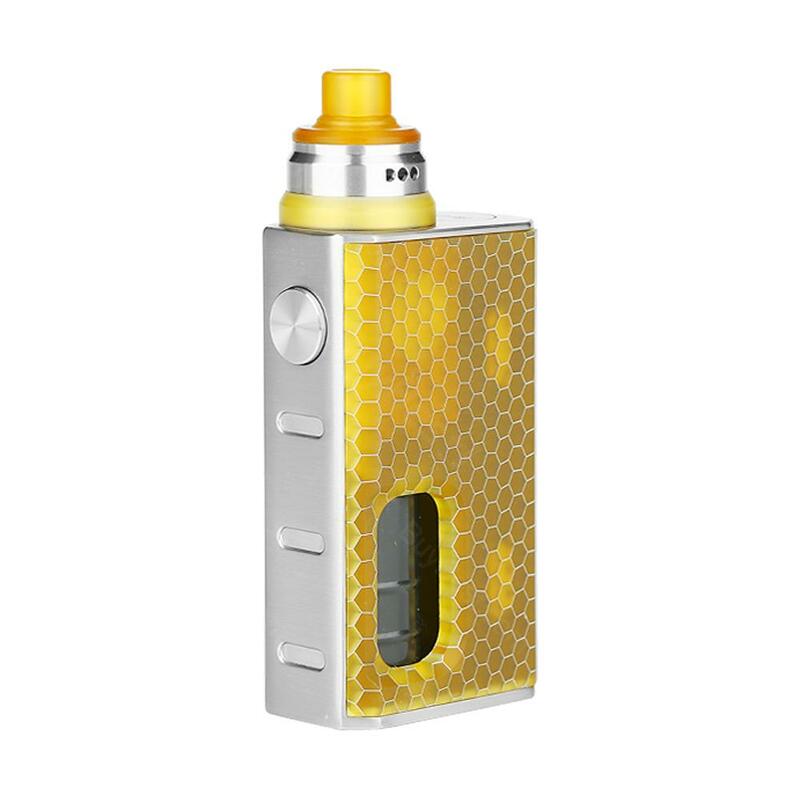 WISMEC Luxotic BF Box Kit мощный, уточенный и компактный, удобно лежит на руке. Sehr gutes Gerät. 100%ig Original von Geekvape. Ich bin sehr zu frieden mit der Mod. Der RDA ist leider zu klein und schmeckt sehr schwach, da MTL. Wismec is a reliable brand. it never lets u down. I bought this one and already tried, never have a way much better vaping experience! el producto llego antes de los previsto 3 dias antes, bien protegido, el producto es original, pero falta una serie de elementos que tendrian que venir, y no se encontraban en el box 2 clapton 1 810 top cap Un detalle que se pusieran en contacto y/o me lo mandaran. Excelente equipo, muy recomendado, segundo equipo comprado para regalo. Producto de buena calidad, envio rapido. Me falta probarlo, pero tiene muy buena pinta. Lo recomiendo. Estupendo articulo. envio rapido y superprotegido. Buena compra. Me encanta buybest.com. Es mas pequeño de lo que pensaba, pero al usarlo da unas vaporadas y un sabor que es incrible, muy recomendado. Excelente, muy buen producto a muy buen precio, calidad extraordinaria, recomendado! !